a few bits from this week's life drawing. 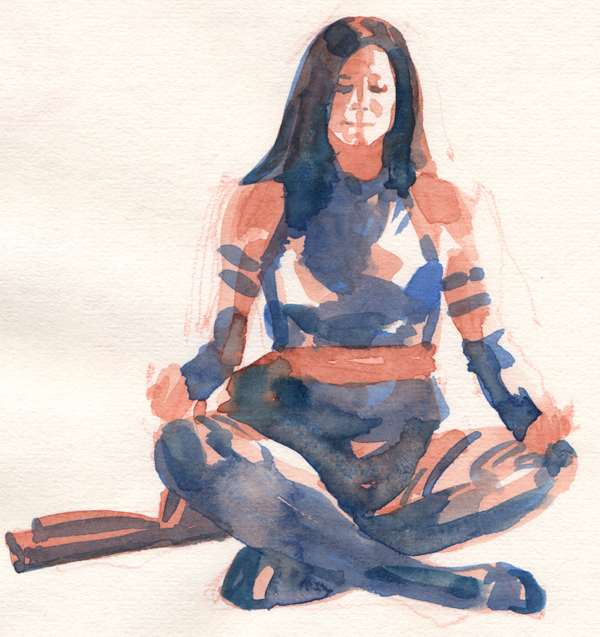 the model was in a cosplay outfit, which made quick watercolors a good choice for getting the big shapes down. these were all pretty fast and sloppy - 10-20 minutes each - but it was still a lot of fun.